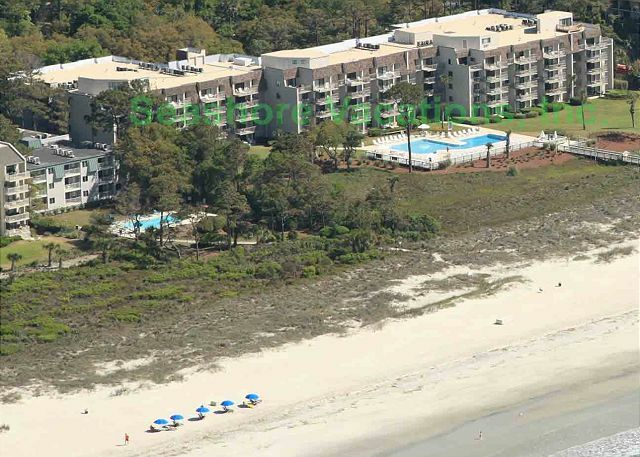 Stay ocean-side and enjoy many benefits of an oceanfront complex without paying oceanfront prices. 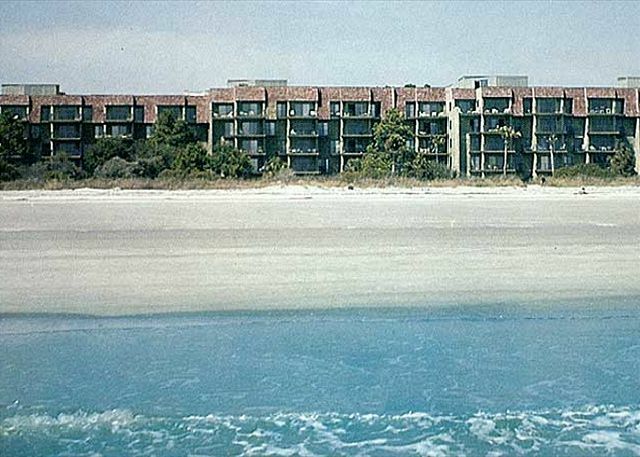 This unit does not face the ocean, but is just steps to the beach. 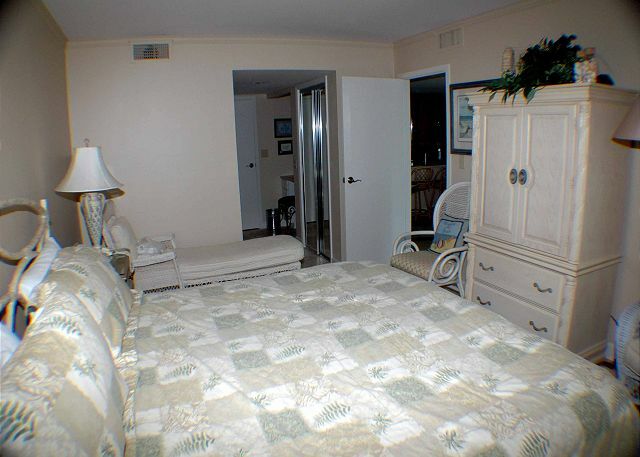 5th Floor ocean-side condo sleeps 5 people with comfort. 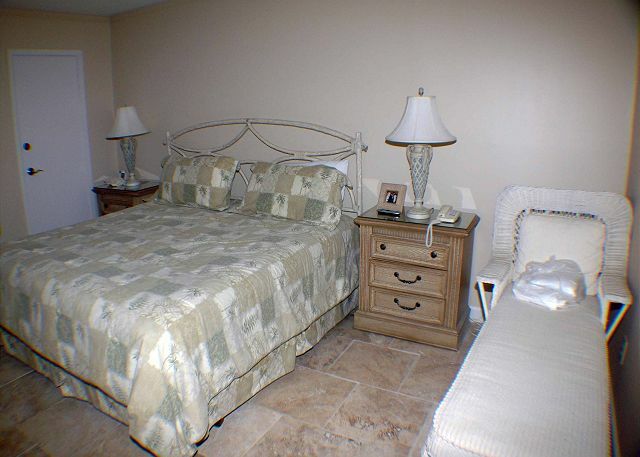 King bed in the master bedroom, queen & twin beds in the guest bedroom. Guests staying in Ocean One 522 enjoy a landscape view from their balcony and easy access to the beach, new grilling area and pool area without crossing any streets. After hours in the surf, vacationers rinse under the outdoor shower located on the complex's private walkway and then dip into the oceanfront swimming pool. 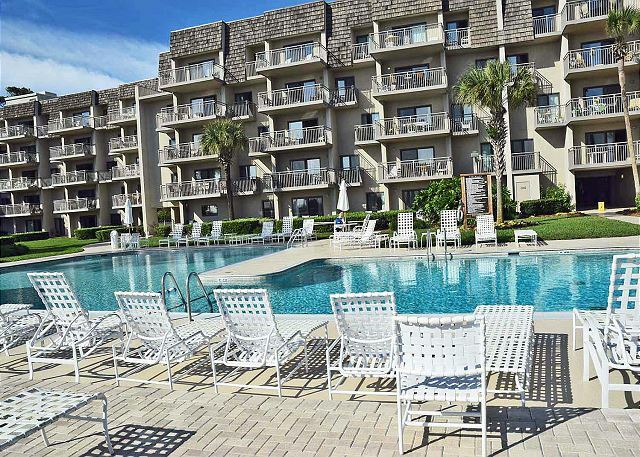 Among the amenities offered throughout Hilton Head Island, Ocean One is one block from the Coligny Beach Market, a quaint downtown area that offers guests a wide selection of restaurants, shopping, and entertainment for all ages. 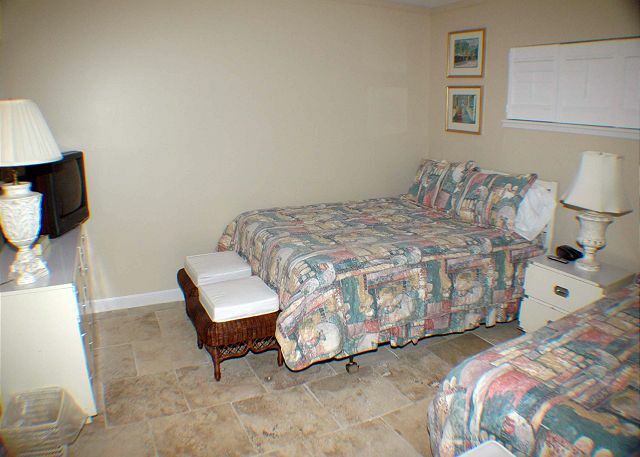 This lovely vacation property has been fully renovated and professionally decorated. Spacious. Very Clean. Nicely decorated. Well stocked kitchen. Good beds. Lots of storage space for all your belongings. 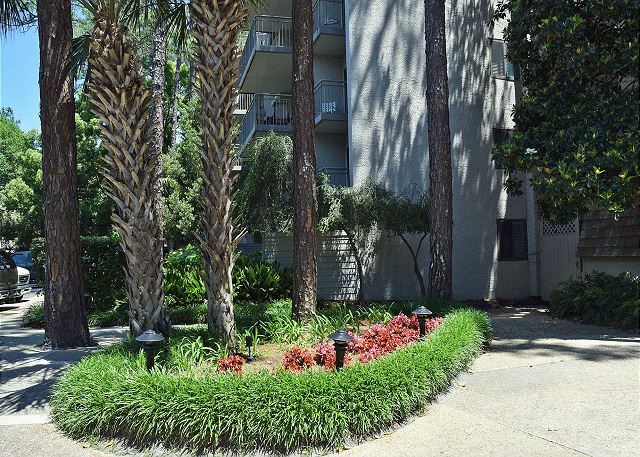 Walking distance to Coligny Circle. Great place for a family vacation. 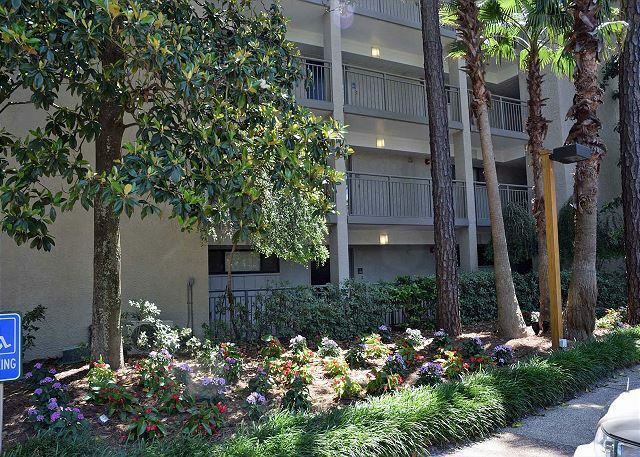 Want to stay in this nice complex in great HHI location- this is a great option at competitiveprice point. 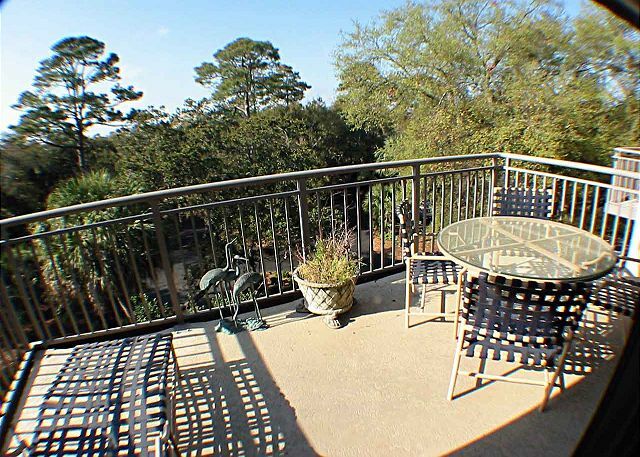 Unit is street/parking side; it is still lovely with a big balcony- trees hide street view and bc building is on the ocean you wont miss not seeing ocean from balcony bc you are just a short stroll to be on the beach. Property management company is professional, responsive and generous with services. We had a great time at your facility. The only negative was the pool was closed several times during our stay. Nice place would stay there again. 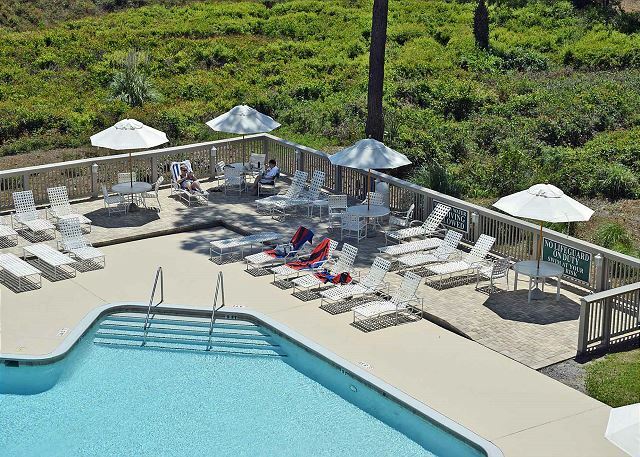 Great place, perfectly suited for our family. 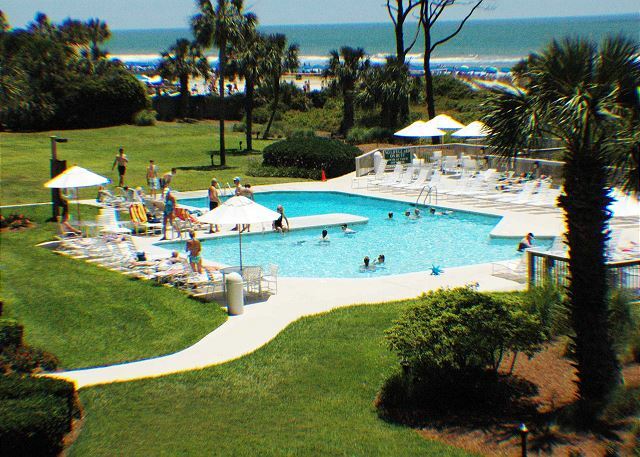 The pool and short walk to the beach made it feasible to tote our little ones, along with our swim gear. Would definitely stay here again! everything was very good . 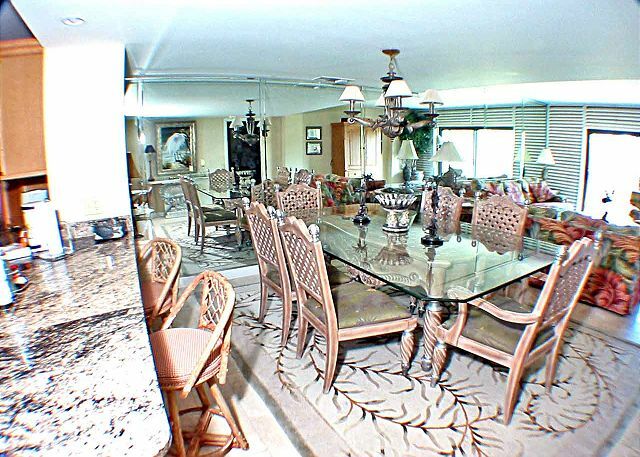 condo was well furnished and very clean. for the owner : since you have a high step in for the master shower , I would put a grab bar by the wall , to make getting in and out easier. This is our second year staying in 522 and as always we had the best time! Since our stay last Summer stay, the owner added some beautiful new pieces to the condo, it looks wonderful! 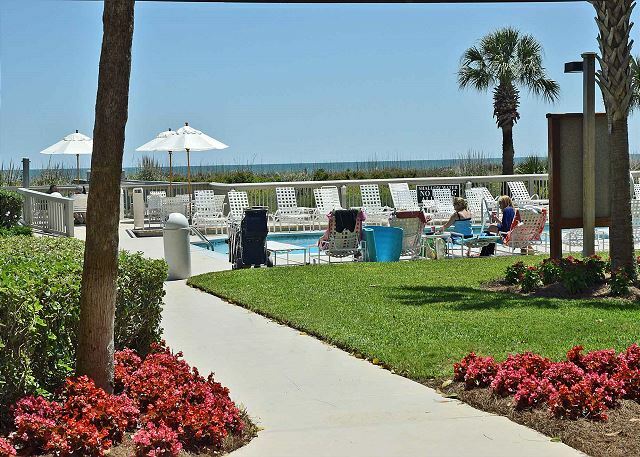 Ocean One is the best location, right beside the tiki hut, clean pool, and the ocean is just a few steps from your door. Everything you need is within walkin distance. Grab yourself a bike and have a great time. You won't be disappointed! Looking forward to next year. Condo was graet as always. 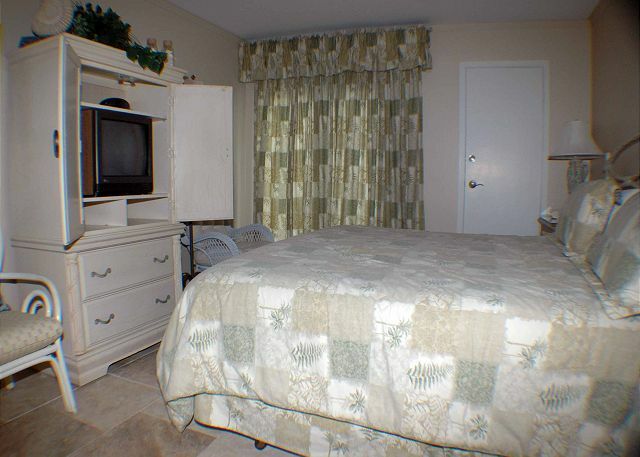 Condo has been updated and remodeled and has a nice open floor plan. 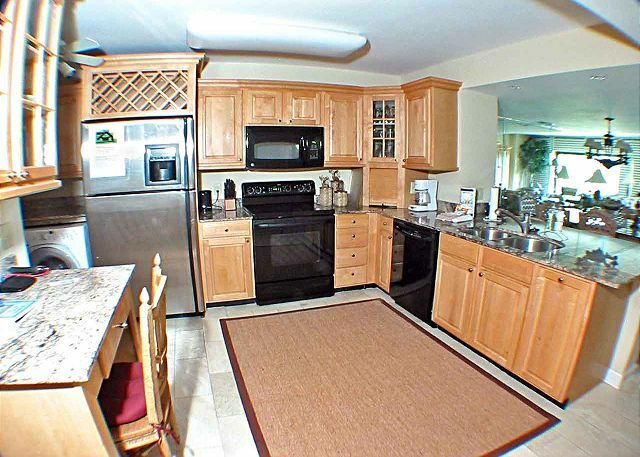 Newer kitchen, very nice. We had a great time!! Everything was nice and clean and we would come back and stay again! New LARGE screen TV was great. Lyn & Buddy gave great service from the property management company. Great church and community activities in HHI. We have stayed in this condo many times. As always very happy. Very Very Happy with condo #522. 522 is a great unit. 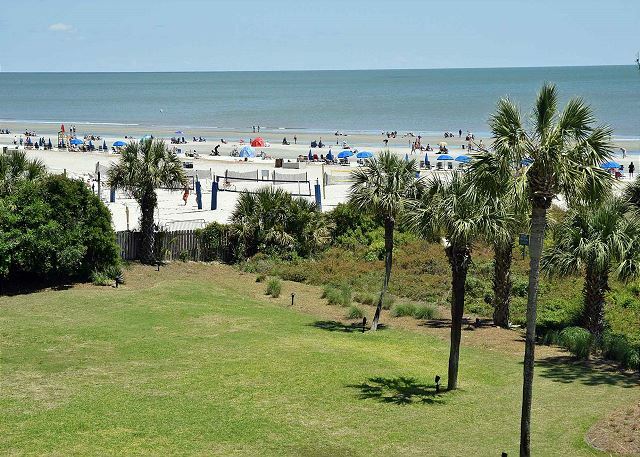 We've been coming to Ocean One through Seashore Vacations for over 25 years. 522 is the nicest ocean side unit we have stayed in. Seashore staff has always been very, very helpful. 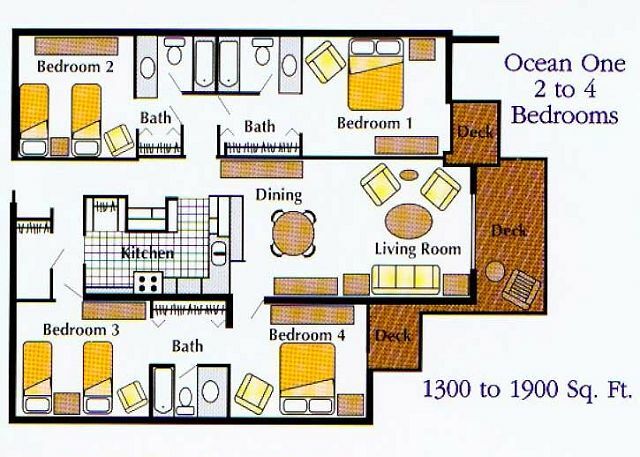 Ocean One 522 was a beautiful condo. It's obvious the owners have put a lot of effort into keeping it updated. Beds were comfortable, living room was nicely furnished, and the enormous TV was perfect for the one rainy afternoon. I wouldn't hesitate to book this unit again and again. Perfect location from several shops and eats. The view isn't of the ocean, but Ocean One's parking lot has surprisingly nice ambiance. We have stayed at Ocean One numerous times, in many different units, and by far this year staying in Unit 522 was the best. 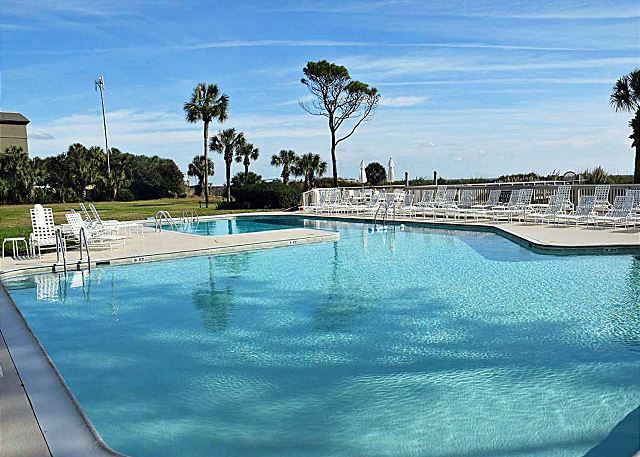 Beautifully decorated, clean, overly equipped kitchen, perfect location for families with young teens; close to Coligny Plaza; I could go on and on... we have already started to talk about booking for next year. Would definitely recommend this unit!! We thoroughly enjoyed our stay at Ocean One 522. 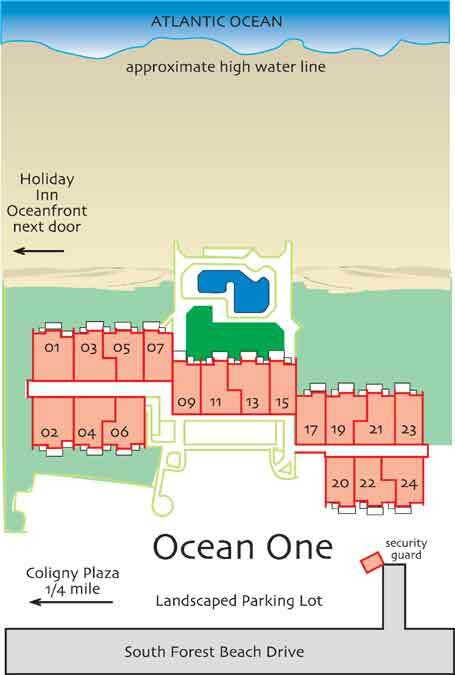 We have stayed in many units at Ocean One and 522 rates in the top in our opinion. It was nicely updated and had lots of extra places to sleep. Especially liked the twin in the Queen bedroom. Thanks for a wonderful week at HHI. Staying in the same condo in Aug and looking forward to my stay. great location, staff, and rentors. 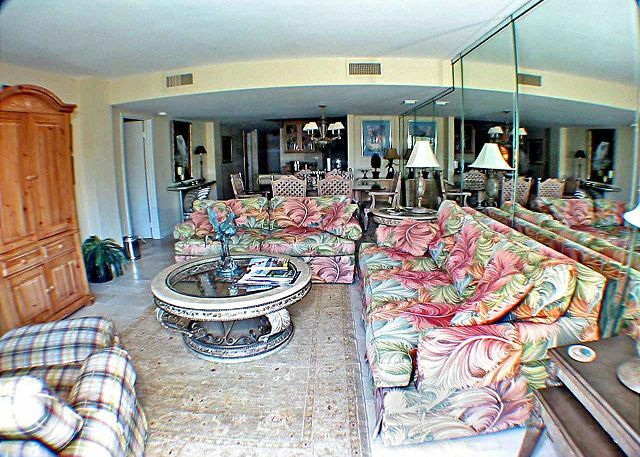 carpets and cloth furniture in living room should be cleaned or replaced soon. kitchen appliances, cookware and dishes are above average in quantity and quality. Very happy with our stay. TVs could be updated. The owners of unit 522 need to be congratulated for the great condition of their unit. I have been staying at Ocean One for many years and have been a little concerned about some of the units beginning to show there age. Unit 522 was updated and very well stocked. It was a pleasure to rent their unit. The location of Ocean One was very convenient. The unit was updated and maintained well. The unit has an electronic lock system,, which eliminates the need for a key. 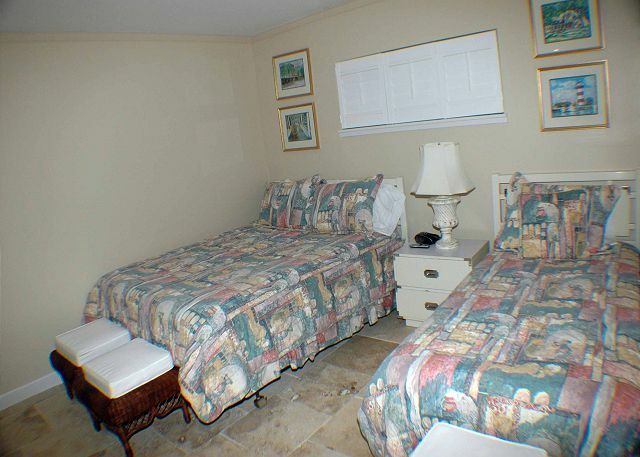 The day we checked into unit 522, I called Seashore Vacation to book this very room for our summer vacation. 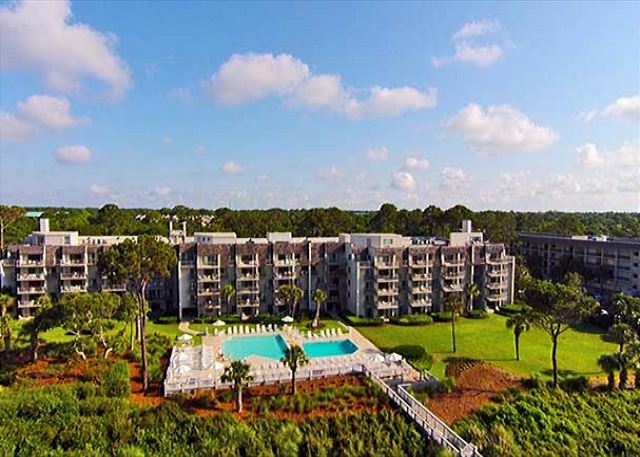 My family loves HHi and Ocean One, especially because it's so family friendly. The property itself and location were great. 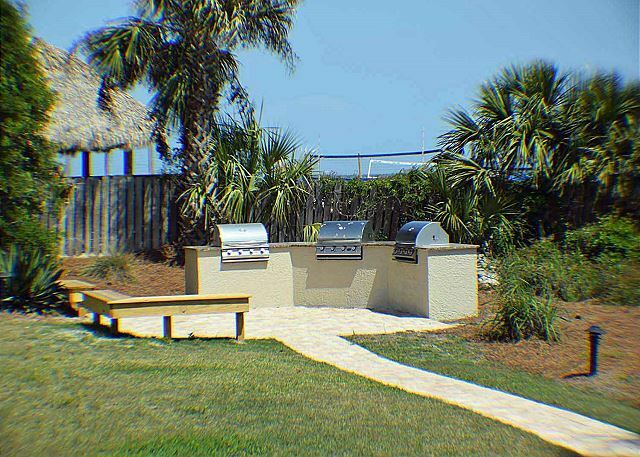 The pool area was clean and well taken care of with easy access to the beach. Shops and restaurants within walking distance a plus. Disappointment: The refrigerator/freezer was not working and we had to toss food we purchased on the way in, it was not repaired until late the next day and still never got cold enough. The jet tub needs a cleaning. 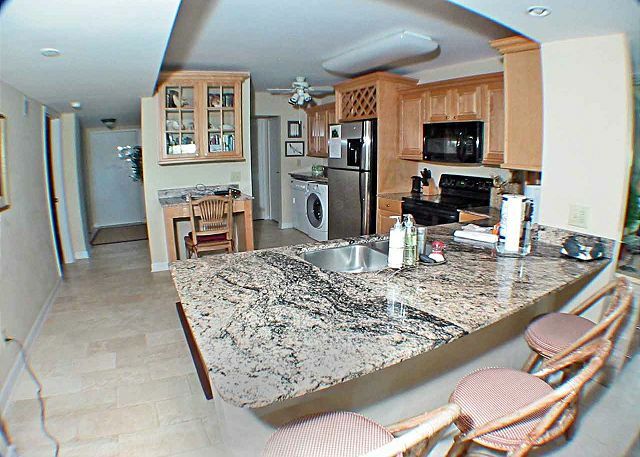 The condo itself was spacious and had newer furniture and nice tile floors in living area/kitchen. We had an incredible visit the week of July 16-23, 2011. 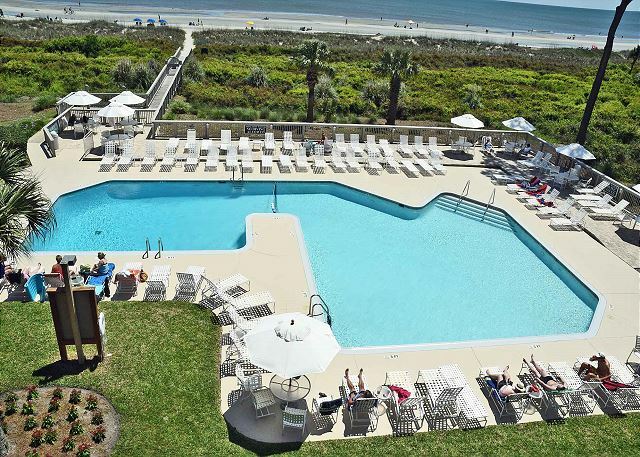 We enjoy our beach vacation every summer in Hilton Head, and our usual location was booked, so we were sent scrambling for something beachfront that was equally as nice and boy, did we find it!!!! we were quite happy all week.